Our International Foundation Year in Arts, Humanities, Law and Social Sciences enables students to progress to an undergraduate degree. Designed to challenge and inspire, our exciting programmes will prepare you for a career in the legal profession and beyond. 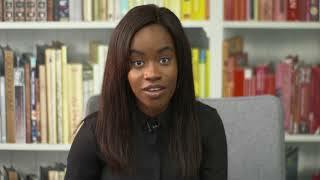 All of our programmes are Qualifying Law Degrees, and offer a strong foundation in the core subjects, including: Public law, European Union law, Procedural law, Criminal law, Law of obligations, Property law and Trusts and Equity. You can also choose around 25 optional modules that you find most interesting. You’ll develop your advocacy skills, participate in pro bono work, join legal societies and prepare for your career with a dedicated Law employability programme. Building 2 is home to our Music courses. Music at Southampton is one of the largest and liveliest departments in the UK. Music's innovative and eclectic curriculum and vibrant research culture create a flourishing environment for studies in performance, composition and musical scholarship of all kinds. We are one of only two UK music departments to receive the highest possible ratings in national assessments of both teaching and research. Our expert staff provide friendly and stimulating support for your work and student satisfaction regularly tops 90% in the National Student Survey. Nuffield Southampton Theatres' have their own Café Bar on campus. 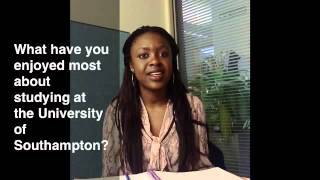 Southampton Law School has an international reputation for excellence in education and research and has been delivering high quality legal education for over 60 years. Our flexible taught courses give you the freedom to pursue your interests, with options drawing on a range of modules across the main areas of maritime, commercial and international law. All of our taught programmes feature a unique, one-week induction into common law – particularly useful for international students keen to familiarise themselves with a different legal system. 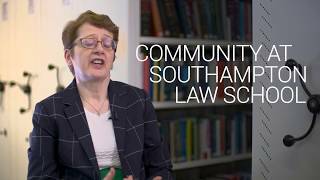 The Southampton LLM experience offers bespoke programmes where students can select their options and pathways once they arrive and tailor their studies to their own interests and career development. 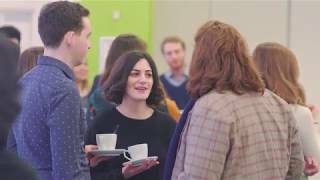 The LLM degree programme draws on the research strengths of the School’s academic staff who are active at the cutting edge of international and national legal reform and development. The programme aims to develop your legal skills within a structure that will allow you to shape your degree towards those areas in which your interests match our particular expertise, while maintaining an overall coherence in relation to your individual choice of modules. 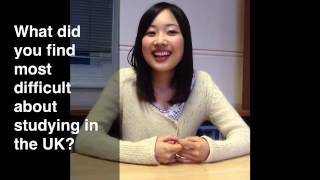 At Southampton Law School we are proud of our worldwide reputation for research excellence in many fields. Research is of key importance within the School and is embedded in everything that we do. Gain expert knowledge in a specialist legal field, develop your research skills, and benefit from joining our academic community with its national and global networks, by joining our postgraduate research programme in Law. 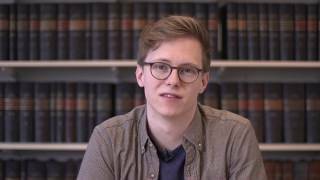 Foster your capacity for originality and analysis throughout this research degree to expand your knowledge of important and fundamental aspects of the law, working towards your PhD. 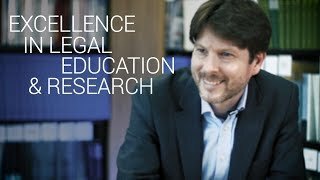 Legal research and education at Southampton Law School has a global reach. Our research led degree programmes combine academic excellence with employability skills and excellent links to the legal professions. Our mooting room, installed in early 2015, provides a space for students to develop their mooting skills. All first year Law students participate in a compulsory moot, where court proceedings are simulated and participants argue a fictional case using real statutes and case law.